Stop waiting for your money! with a personal loan from LoanMart. This does not affect your FICO® 1 score 6.
customer service team is there for you seven days a week. We offer a fast and easy loan process for borrowers – loans can be completed in less than 24 hours 3. All fees are clearly disclosed when you get your loan. You can pay off your loan early without any prepayment penalties. Many of our competitors only offer online applications and self-service options once you have a loan. LoanMart is here to help – if you have any questions before or after getting a loan, call us at 855-422-7412 during regular business hours. We are confident in our products – that’s why we back up all of our consumer loans with the LoanMart Peace of Mind Guarantee. If you change your mind for any reason within 3 days of getting your loan, simply return the loan proceeds to us and you will not be charged any fees or interest. 1 FICO is a trademark of Fair Isaac Corporation. While your FICO score will not be affected by submitting a pre-qualification request, other scores created by other companies may be impacted. 2 Based on borrowers who received a loan from February 2002 to October 2018. 4 To exercise the right to cancel, the borrower(s) must notify LoanMart in writing by midnight on the third calendar day from obtaining the loan. Within one business day from notice of cancelation, the borrower(s) must return any monies received and fees paid on behalf of the borrower(s) by certified funds. If payment is not received by that time, borrower(s) will owe the full amount of the loan indicated on the agreement. Borrowers who canceled a loan pursuant to the 3-Day Peace of Mind Guarantee from LoanMart are not eligible for the 3-Day Peace of Mind Guarantee promotion. The 3-Day Peace of Mind Guarantee promotion is only available once per borrower. Alabama: Loans made pursuant to Alabama Consumer Credit Act. Alabama Disclosures. California: Loans made or arranged pursuant to a California Finance Lenders Law License. Missouri: Loans made pursuant to Missouri Revised Statute 367.100, Regulated by the Missouri Division of Finance. Missouri Disclosures and Fee Schedule. New Mexico: Loans made pursuant to New Mexico Regulation and Licensing Department Financial Institutions Division Small Loan Company License. New Mexico Disclosures. Utah: Loans regulated by Utah Department of Financial Institutions. Utah Disclosures, Complaints and Fee Schedule. 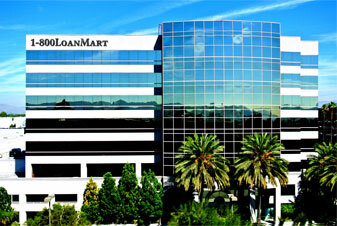 LoanMart is a responsible lender and takes its legal responsibilities seriously. Questions? customersupport@800loanmart.com or call 855-422-7412.